The United States said it will continue to “support Sri Lanka as it fulfills its commitments” to a United Nations resolution calling for an accountability mechanism with foreign judges to examine violations of international law committed during the armed conflict. US Embassy Chargé d’Affaires Robert Hilton met with the Chief Minister of the Northern Province, where he “assured” him of continued US support to fulfill the resolution. 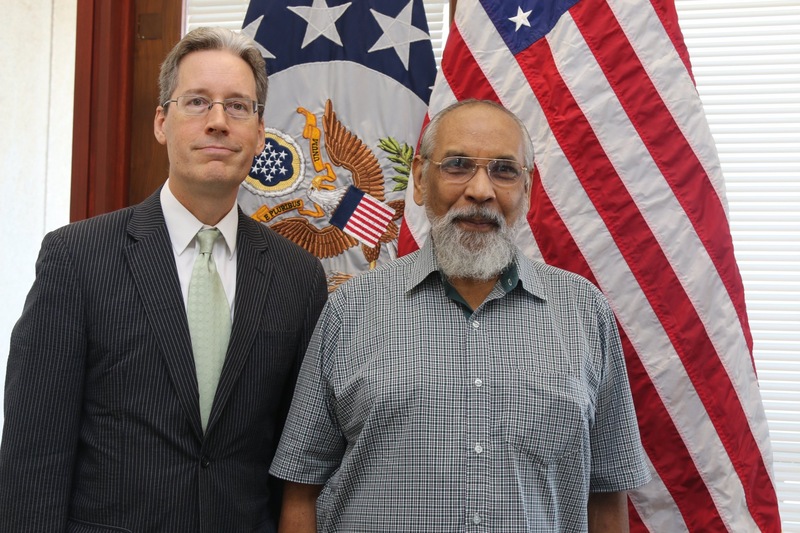 “Assured Chief Minister Wigneswaran that the U.S. continues to support #SriLanka as it fulfills its commitments under #UNHRC Resolutions 30/1 (2015) and 34/1 (2017),” tweeted Mr Hilton. Sri Lanka's President Maithripala Sirisena has repeatedly spoken out against allowing foreign judges into the country to partake in an accountability mechanism – a key component of the 2017 UN Human Rights resolution. Despite this military relations between the two governments have grown.